WOW this item will be HUGE! AMAZING VALUE AT ONLY 45p. 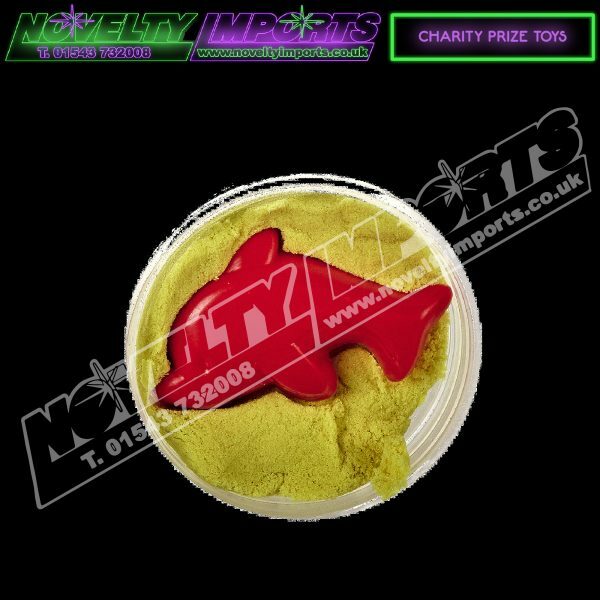 Tubs of mixed coloured moulding sand that comes with a collectable mould in each 60g tub. 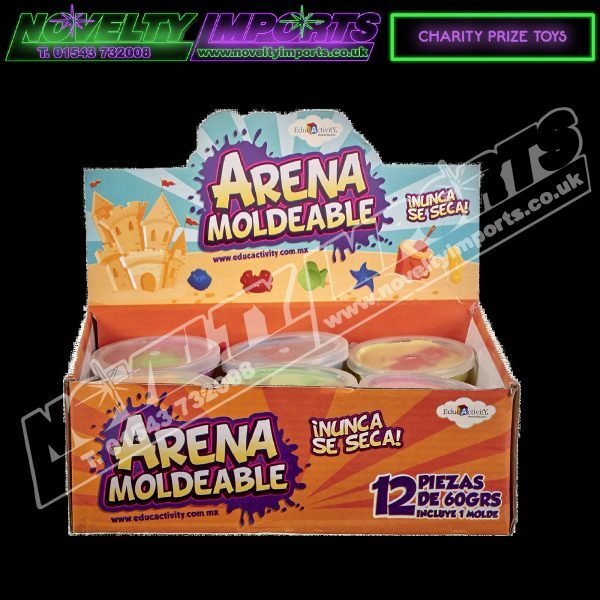 Bang on topic with nothing more popular at the moment than slime this moulding sand is a NEW educational substitute to slime and goo products. This is a great item for smaller prize every time wins, gift/holiday shop counter toys and school/charity fundraising events. Safe tested non toxic for ages 5+ LTD stock so get it FAST... 24/pc counter top coloured display box.